[Cascade, Michagan, USA] – At an early age, Dylan Calahan was already making some big decisions about his future. He says he asked himself, “Do I want to pursue ballet or martial arts?” Dylan ultimately chose ballet, and it didn’t take him long to develop the necessary skill and grace to become one of the best young, male ballet dancers in the world. From Cascade, Michigan, to New York City. That’s quite a jump, but not for somebody who’s been jumping since he can remember. 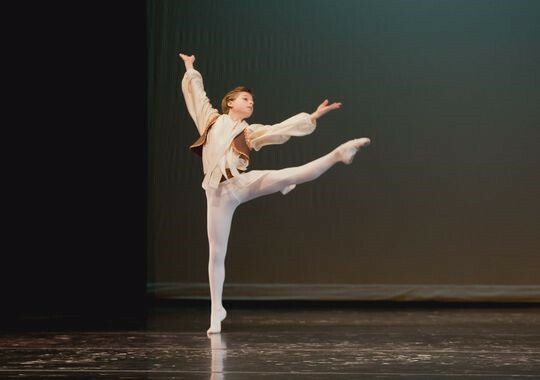 Dylan Calahan is barely 12 years old, but he’s already well beyond his years in the art of ballet, and the experience he’s about to get this summer will place this prodigy among the world’s best. If you combine jumping and dancing, then add technique, discipline, years of training and then countless hours to retain proficiency, you have the art form known as ballet. “This is what drives him,” said Nikola Calahan, Dylan’s mother. Dylan says he practices ballet six days a week for close to three hours each day. “He’s absolutely incredibly talented,” said Lorna Jarvis, an artistic instructor at Michigan Ballet Academy in Cascade, where Dylan has been a student since he was 8 years old. “I would love to pursue this as a career,” Dylan added. Now at age 12, he’s being considered as one of the best young, male ballet dancers in the world. Dylan’s parents, Greg & Nikola Calahan, asked Dylan if he wanted to audition for the School of American Ballet, a prestigious, international ballet company in New York. “A lot of dancers end up going to New York City Ballet,” said Dylan. The school only accepts students by audition, so Dylan and his parents recently traveled to Chicago so he could audition. Not only did Dylan earn a full-ride scholarship to the school, he was offered it on the spot. “I wasn’t expecting that to happen,” said Dylan. Dylan will be just one of 200 ballet prodigies, from around the world, to learn from the best at the five-week program. “It’s preparing you for the real world of ballet,” Dylan said. Jarvis says Dylan becomes just the fourth student ever from the Michigan Ballet Academy to receive this opportunity. “Clearly, we have a lot of talent around in this area for boys in ballet,” added Jarvis. “[Dylan] may be one of the last generations that will study under these people that were taught by George Balanchine,” said Nikola Calahan. Dylan says he will spend the five weeks looking to perfect his craft, and he will enjoy every second of being pushed by the rest of the world’s best. “I don’t think it really has sunk in yet, but I’m sure a week before I go, I’m going to get really nervous,” Dylan said. Dylan leaves for the New York School of American Ballet June 26. There’s a chance he could return to the school after the summer program, providing he’s selection from an evaluation process after week three of the program. If Dylan passes that evaluation, he could be offered a spot in the school’s year-around program, which begins in September. If that doesn’t happen, Dylan says he will return to Cascade and use the skills he learned in New York to continue to improve. In this exclusive new series, follow six talented students as they strive for stardom at the School of American Ballet. With unprecedented access, you’ll go behind the scenes and inside the studio to see what it’s really like trying to land a spot on the prestigious Lincoln Center stage. Our then six-year-old son Matthew wasn’t crying about juvenile detention or foster care or the Russian gulag. He was crying about dance class. He didn’t want to finish his first year as a student at the School of American Ballet (the one created by George Balanchine, the legendary choreographer and ballet master of New York City Ballet). Eventually, my husband and I untangled the problem. Matthew’s problem was not ballet. The problem was being a boy in ballet. But how old do you have to be to stand up for who you are and what you love? When do we, as parents, teach that? The summer before kindergarten started, we took Matthew to the studio down the street and signed him up for summer dance camp—ballet, tap, and jazz. He loved it. He started dancing anywhere and everywhere, to all kinds of music. 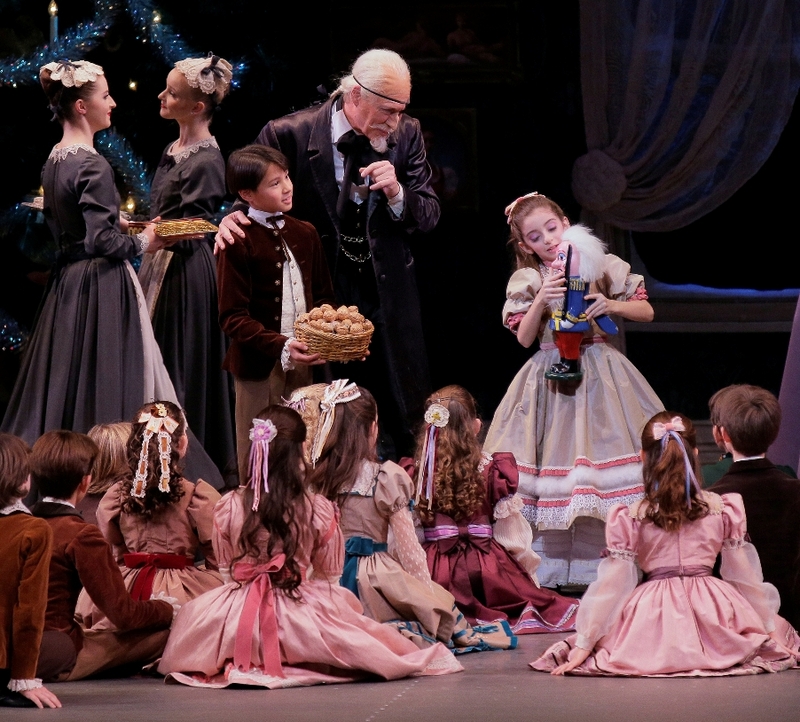 And that would have been the end of it, had we not watched the DVD of George Balanchine’s The Nutcracker that December. Matthew was swept away, by the music, the dance, the drama. And that’s how he ended up at SAB. Twice weekly we’d trek from Park Slope, Brooklyn, to Lincoln Center, where he took class with famous retired ballerinas. (One former star is known affectionately in our household as “The Yelling-est Ballerina Ever.”) And he loved class, saying, “At the other school, the teachers were nice, but at SAB, they’re firm. They show us how hard ballet is, that it isn’t just a game. I like that.” And not only were there other boys at SAB, but they were treated with respect. More than respect, actually. Males in ballet are not just a rare commodity, but also a historically privileged minority. It’s a definite advantage to be a male in ballet. First of all, there’s less competition. And at SAB, all boys attend on scholarship—a savings, at the beginner levels, of about $7,500 per year. But something happened to Matthew that year. He became increasingly aware of gender roles and terrified the kids at school would find out and tease him. He began to get stomachaches before class, not wanting to go. “Why not?” I asked finally. “Mommy, ballet is just too girly,” he confided. “They’re not,” Billy counters. “Ballet dancers are as fit as athletes!” But it’s that underlying homophobia that persists. And what my son, even if he couldn’t yet articulate it, was sensing. Although we went through a wrenching time of questioning and then resolution—Matthew ultimately made the decision to follow his love for dance and continue at SAB—it seems as if ballet itself is also questioning its own image and trying to tone down the pink. When asked about his classmate’s reaction to his taking ballet, he shrugs. “They might still laugh,” he says, “but I’d like them to take a class and see how hard it really is. And then if they like it, that’s great, and if they don’t, that’s OK, too. Susan Elia MacNeal is the author of the New York Times bestselling Maggie Hope mystery series from Random House. Her novels have been nominated for the Edgar, Macavity, Dilys, and Barry awards. She lives in Park Slope, Brooklyn, with her husband and son. [Northumberland, England] – Dancing schoolboy Jake Bradbury is turning dreams into reality after earning a place at the renowned Royal Ballet School in London. The nine-year-old, from Hexham, has not even seen the Billy Elliot film, or the musical, but is already on his way to emulating the lead character’s success. For Jake has been selected to join the RBS’s associate programme for juniors in September. Over the next two years, he will attend weekly classes in Newcastle and take part in all-boy sessions in the capital. The pupil at Hexham’s Sele First School booked his place after impressing at a regional audition, with only a select few being chosen from about 1,000 hopefuls. Few boys from Tynedale have made it to the world- famous RBS, but Jake is following in the footsteps of Rupert Jowett, a former graduate of the school, who now teaches at the Terpsichore Dance, on Fore Street, Hexham, where Jake’s skills have been nurtured. The youngster has progressed remarkably since he was first introduced to ballet as a four year old, while living in the capital with mum, Judith, dad, Harry, and little sister Lola (5). Jake’s instructor, Imogen Hollingsworth, said: “Jake is exceptionally talented and he is absolutely focused on what he is doing. He has already progressed very quickly through the grades with remarkable results, and I believe he will continue to do so. 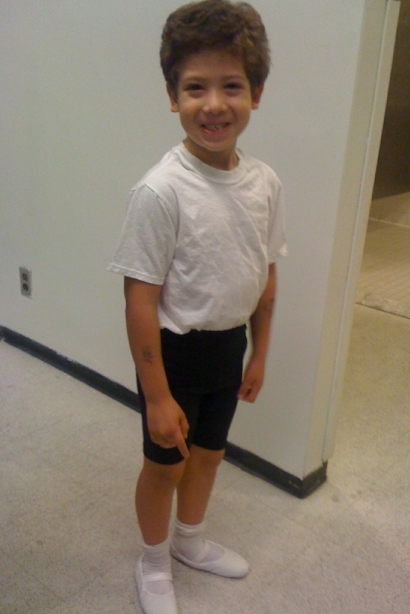 Jake is one of almost a dozen boys who take part in ballet classes at Terpsichore. Imogen said that over the past decade, more boys have become interested in ballet and other forms of dance. Jake, who will not turn 10 until January, will join the dedicated RBS programme for eight to 10 year olds. Multi-talented Jake is also into drama and regularly plays piano and violin. He also goes swimming, plays tennis and attends gymnastics sessions. [Danbury, Connecticut, USA] – McKenzie Soares. Remember that name, because it just may be that you will be hearing it in the future. 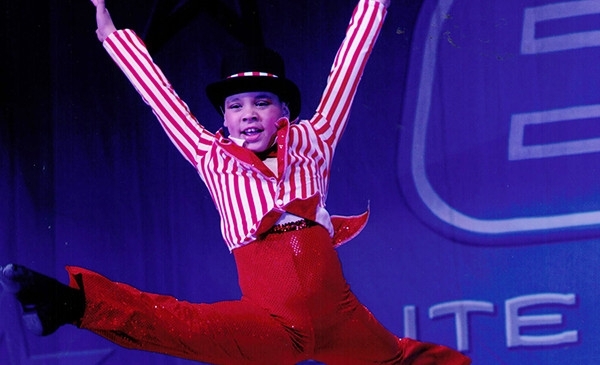 Right now, McKenzie looks and seems like any other fourth grader at King Street Middle School but he is also a student at the Lincoln Center School of American Ballet and the prized pupil at the Academy of Dancing Arts in Brookfield, Connecticut. His mother is a Brazilian immigrant that works as a housecleaner to support her son. The average day for McKenzie is to get up and go to school like any other 4th grader but once school is out, his mother, Ana, picks him up and the two of them head down Route 684 to New York City, where McKenzie studies all forms of modern and classical dance at the prestigious School of American Ballet. For those unaware, the School of American Ballet is a selective and elite school that teaches students to become professional dancers and 90 percent of the New York Ballet are SAB graduates. His most recent achievement was to be accepted to the Bolshoi Summer Program, an intensive program run by one of the oldest ballet companies in the world. Think of it as developmental academy for the world’s most promising talent. If ballet has a minor league, this is it. McKenzie’s story, though, is one of sacrifice and dedication. At ten years old, he travels to and from New York City from Danbury every day to engage in athletics at the same level as Olympic gymnasts. When people conjure images of ballet, they think of tutus and point shoes. They do not think of the hundreds of hours spent forging a body of athletic prowess that a Navy SEAL would envy. The explosive strength, endurance, flexibility and agility required to perform at the level this ten year old boy is able to command his body to exert is on a level that is preternatural. The hard work has paid off. Since 2009, McKenzie has competed in 14 dance competitions and placed first in all of them. Perhaps that is why he enjoys as much community support as he does. As members of the Emmanuel Assembly of God Church, Ana and McKenzie have found what every immigrant family needs, a welcoming and supportive community. The Emmanuel Church discovered this young talent and rallied around him, soliciting financial support on his behalf to pay for the costs of transporting McKenzie to and from training and to pay for his admission to SAB and if financial support allows, to pay for his admission to the Bolshoi Summer Program. If McKenzie played football as well as he performed ballet, you’d be hearing more about him from other news outlets. But being exceptional at ballet for a boy is sometimes looked at as being unworthy of accolade or comment, which is more of a sad commentary on us than on this young man. To find out more about how you can help young McKenzie, you can contact his mother Ana Bernardino at anabernardino@live.com or Reverend Jackson Meirinho of Emmanuel Church at 203-870-5571.